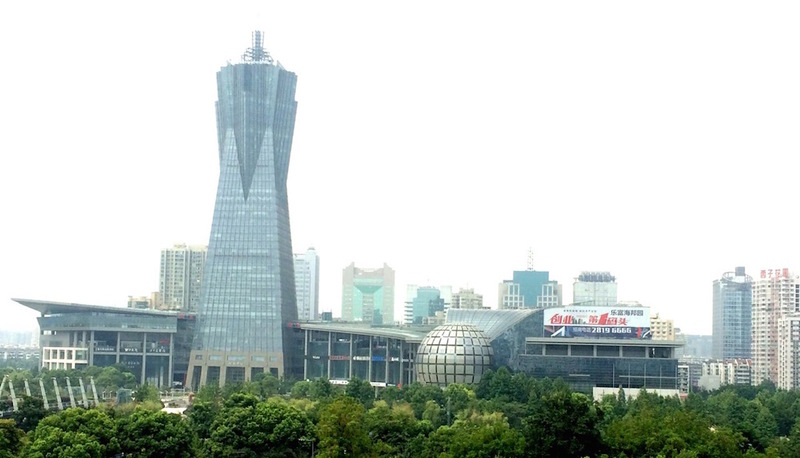 This past August, we were graciously invited by ZAST (Zhejiang Association for Science and Technology) to come to China to give a series of workshops and talks in Hangzhou, Ningbo, and Shanghai at the various impressive science museums there. Similarly to the United States, Neural Engineering is a relatively new discipline for the public, and there was enormous interest in the topic. We were honored. 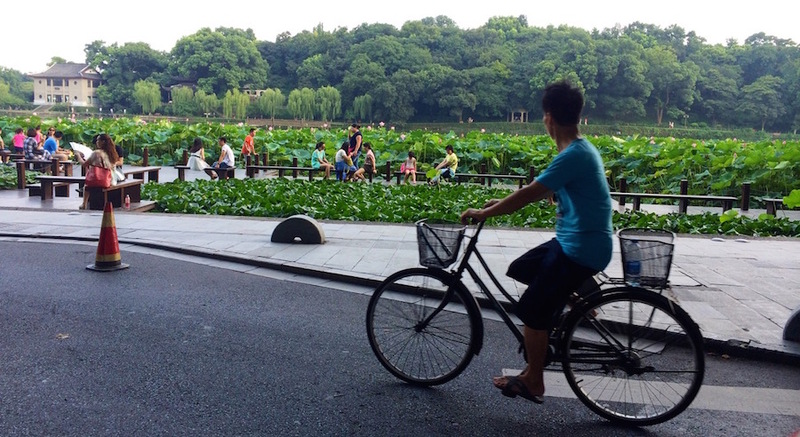 In early August, Tim flew to Hangzhou and began the Sino-Backyard Brains adventures. At the beginning of the trip, we gave a “deep workshop” where the staff of the Zhejiang Museum of Science and Technology (ZMST), affiliated to ZAST, received 6 hours of training on interactive experiments, ranging from our cockroach work, to our earthworm conduction velocity experiments, to our new human interfaces, and even our (then just prototyped) EEG experiments. Hangzhou is famous for its West Lake, and it was quite beautiful walking around the city and visiting the nearby Dragonwell (Longjing) tea farms, all the while planning the subsequent science talks with Bing, who was the organizer of the visit. 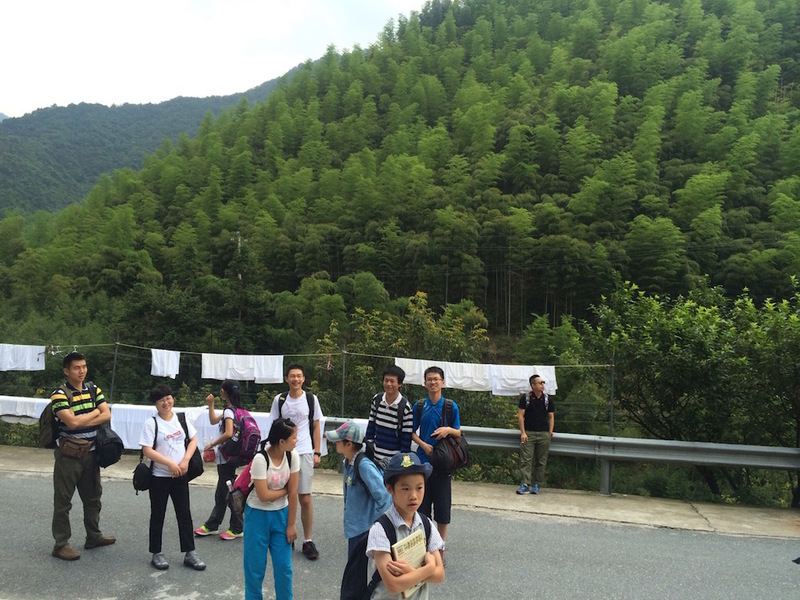 This was followed by a organized field trip to the Zhuxiang National Park with grammar school students, the ZAST’s museum staff, and an entomologist. The objective was to try the RoboRoach preparation on a Chinese Beetle (unidentified, perhaps a dung beetle). 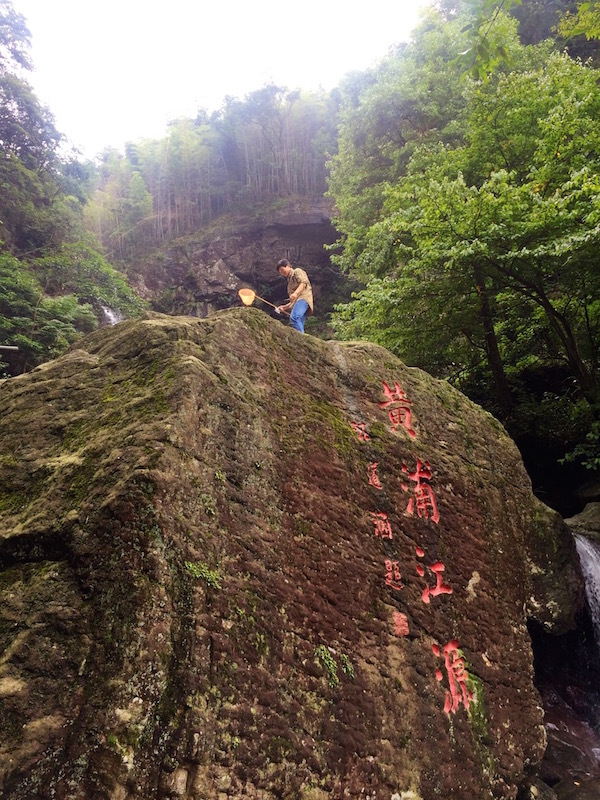 Zhuxiang is known for being one of the best examples of a bamboo forest. We searched for our elusive beetle in the Chinese scenery borne of dreams. The beetles were found on a distinctive tree that was co-localized with a type of plentiful brown butterfly easy to spot. Both are fond ofthe sap the tree emits. You look for the butterfly, then look for the tree the Butterfly always flies to, and you find your beetle. 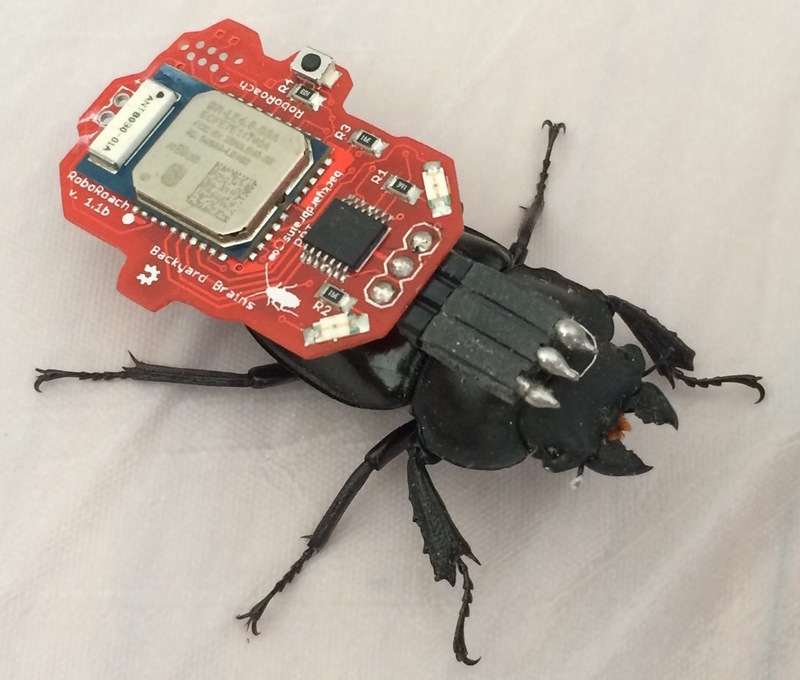 We collected about 10 of these beetles, and implanted 3 of them with RoboRoach electrodes. These beetles have an impressively strong exoskeleton, making the surgery a bit of a challenge, but we achieved it. 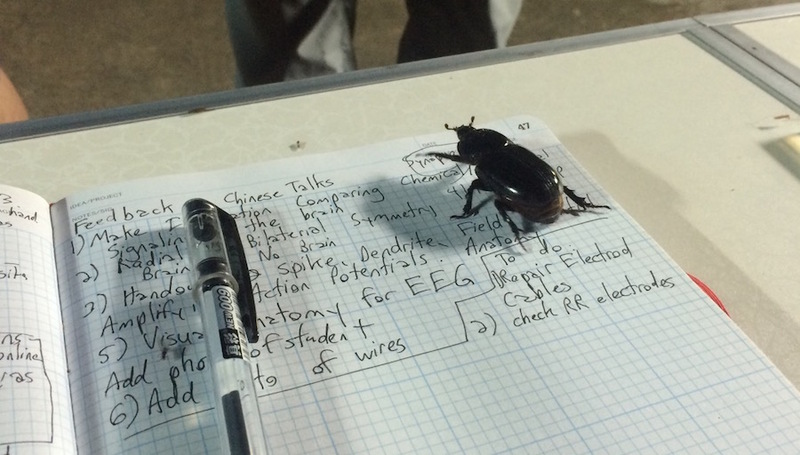 However, the wires did not hold up to the Beetles’ jaws. The next morning, when we tried to test the RoboRoach circuit, the beetle had cut the wires. 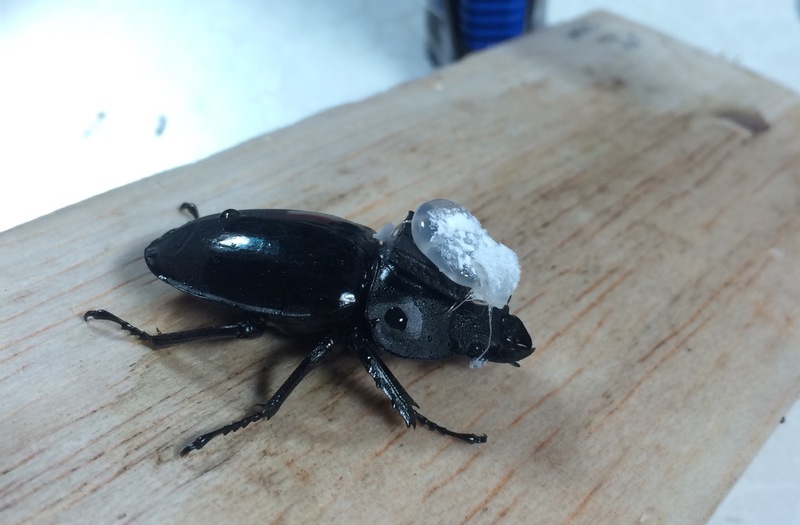 The surgical preparation needs a little bit more adaptation to work on this creature, but we left the RoboRoach kit with ZAST…maybe an adventurous Chinese student will continue the work to study the adaptation and motor response properties of this beetle! We gave many talks to the public, who were very gracious, and we must thank Phyllis, Bing, and our talk translators for doing the challenging job of learning so many new biological terms. 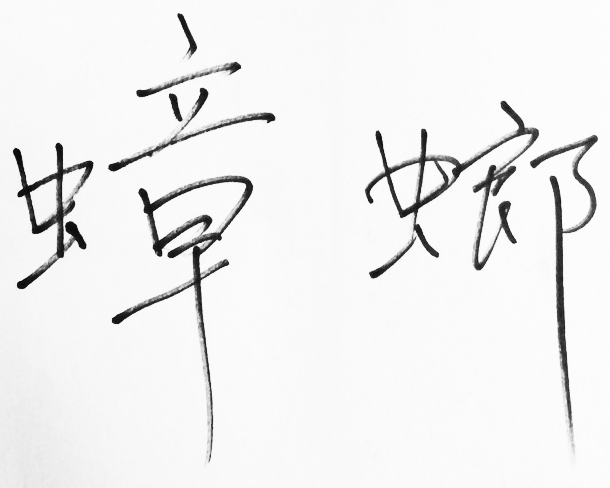 Our favorite was- “ulnar nerve” – chî gû shén jin. 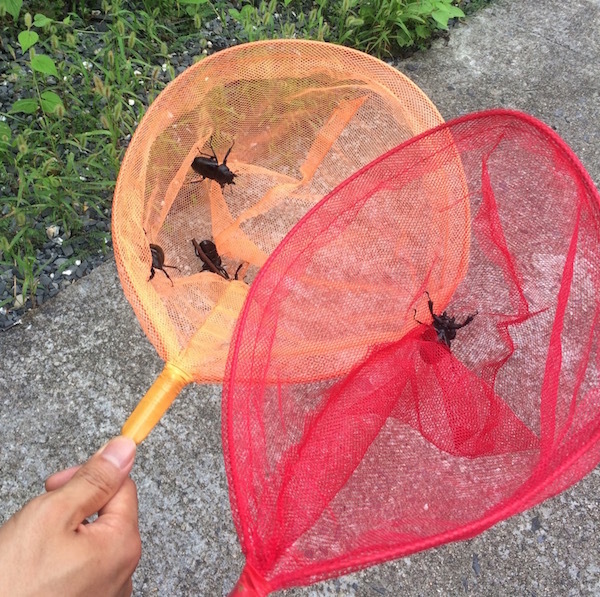 But there is also an informal word used that translates into “little strong” because, of course, a cockroach is a quite durable creature– which sounds like xiâo qiáng. 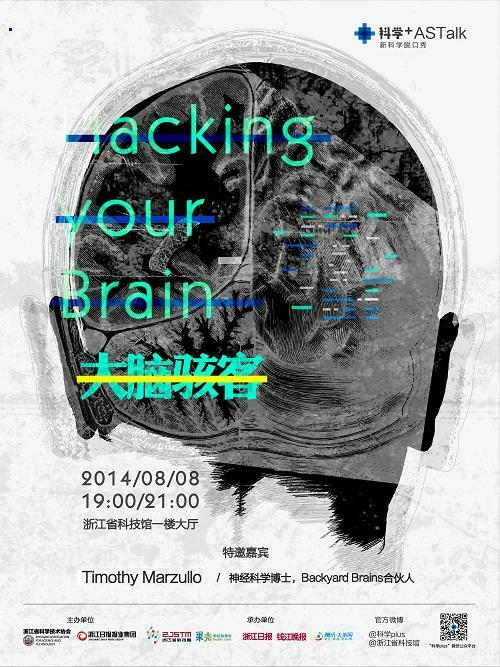 The world is full of enthusiastic students and minds who live to unravel the mechanisms of the brain, and we were delighted to meet some of the curious future Neural Engineers in China. The Staff of ZAST, when we parted ways in Shanghia, gave a gift all engineers would treasure – an abacus. 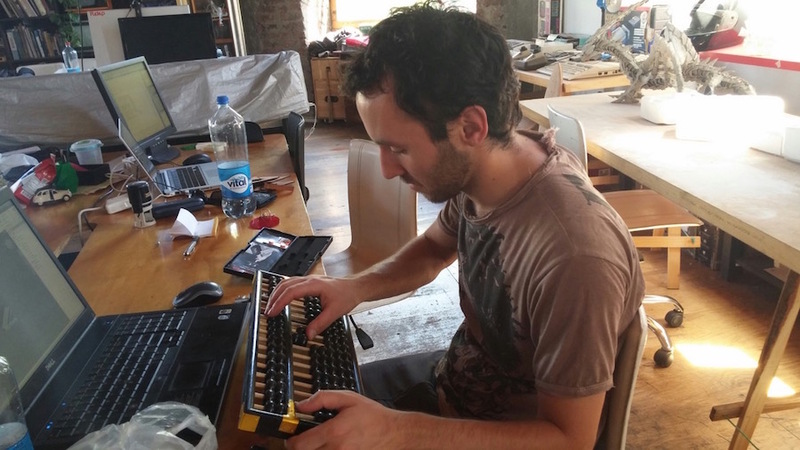 The Abacus is now part of our office in the Santiago MakerSpace in Chile, in our growing ganglious network of inventors and scientists spread around the world. We at Backyard Brains love cockroaches. Every time we see someone with butterfly earrings or a butterfly tattoo, we think, “That would look so much better if it were a cockroach. Pobrecita Cucaracha. 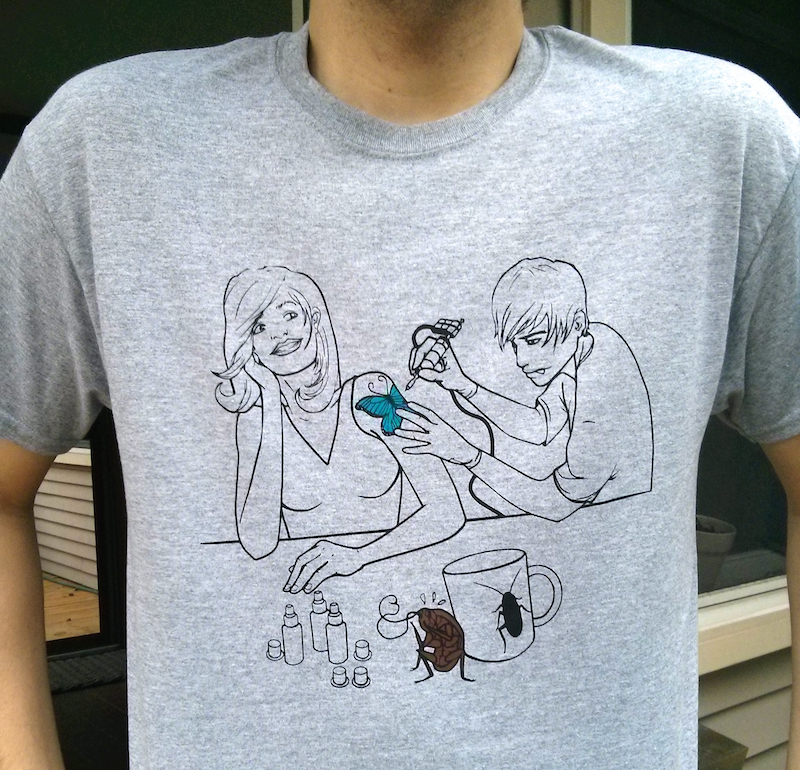 Nobody celebrates you.” No more, you can now show your love of insects plain and utilitarian with our new T-shirt, available now. Spotlight: Measuring Reflexes Using the EMG Reaction Timer! Meet the EMG Reaction Timer!